As Voted in the 2017 Blogto Reader's Poll for "Best Martial Arts Toronto"
OUR NEWEST LOCATION IS NOW OPEN!!! Welcome to Elite Martial Arts, Krav Maga Training Centres. Elite Martial Arts is an official member of the Krav Maga Association of Canada and Muay Thai affiliate school of Siam No1 Muay Thai. 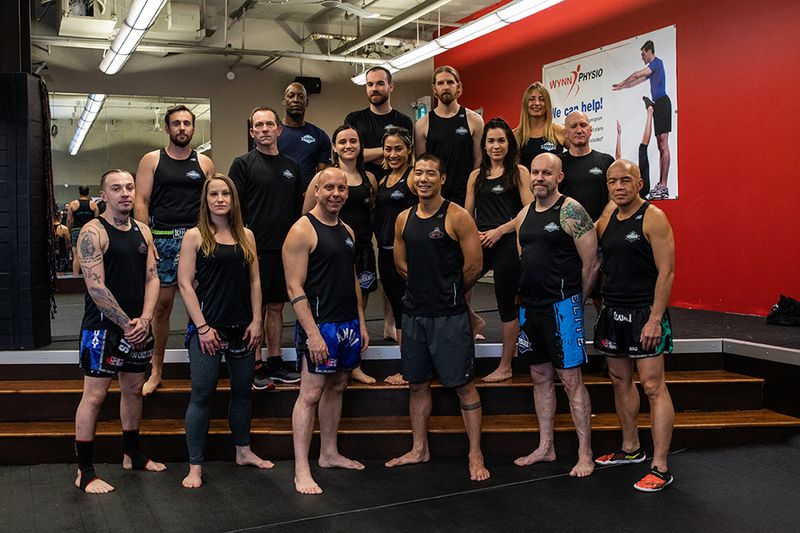 As a proud member of the Krav Maga Association of Canada, Elite Martial Arts is proud to offer what is believed to be the most modern, effective and well rounded Krav Maga program available to students today. 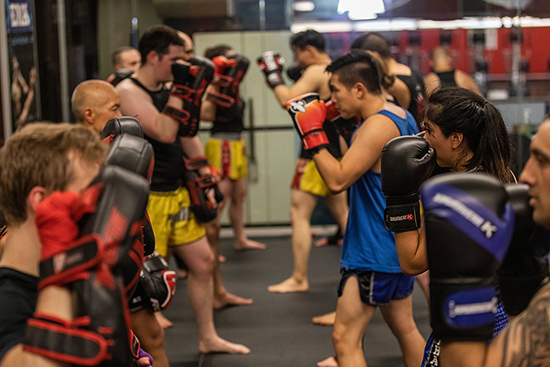 Our Training Centres are currently offering our award winning Krav Maga, Muay Thai & fitness programs in Downtown Toronto, Mississauga and North York (Keele and 401). What separates Krav Maga from other Martial Arts or self-defense systems is that Krav Maga acknowledges the fact that there are no rules in a street fighting situation. There is nothing in place to keep an individual safe and no referee is present when grievous bodily harm presents itself. Krav Maga utilizes a variety of self defense techniques that can be taught to anyone, regardless of age, size, gender, fitness level or previous Martial Arts experience. With proper training, anyone can become proficient at Krav Maga in a short period of time. In simplest terms, Krav Maga is a street fighting method of self defense. Navigate our site to lean more about EMA Training Centers, Krav Maga and our other excellent martial arts & fitness programs. Please also see our FAQ page for answers to frequently asked questions. I have been with the school for a few months and finished my first belt test today - something i never though i could achieve! Every instructor in this school is absolutely amazing, highly knowledgeable and very welcoming! My first thoughts before joining were the same as everyone else i.e. i have no marital arts background, i don't think my fitness levels are up there, and it is intimidating. One trial class in and i signed up as soon as possible because every one of those questions were answered within minutes. the environment is very supportive! You learn from the instructors, you learn from the advanced students, you learn from people at your level! You can ask questions anytime to anyone and you leave every class better than before you get there - worth every penny! I have never had a partner in class who i didn't love working with. The toughest part is working all day and then making it to class, but all it takes is getting there - I have never left a class not feeling like a million bucks! Lawrence, Dan and the team are absolutely excellent, with ridiculous amount of knowledge and more than anything, they want to see the students learn and do well. They are willing to spend the time to make sure that happens. As instructors they participate in all the conditioning classes as well. Other advanced students are a clear reminder of what can be achieved if you stick with it. Literally all it takes is one email, and getting that trial class in! highly highly recommend. Elite Martial Arts (EMA) has been my Krav Maga and Muay Thai school for the past few years. I initially came to learn self-defence (Krav Maga is, after all, the most practical and real-world self-defence system out there). But I have improved in many other surprising ways. By constantly testing your mental and physical limits, you can effectively elevate them. By practicing martial arts, you can enhance self-confidence AND humility at the same time. I have tried a few other martial arts gyms for comparison and found myself quite privileged, and staying with EMA. Dan, Lawrence, and the other instructors are great teachers, they have always believed in me and supported me. The facilities are great. My fellow students are my friends, and we are all invested in everyone’s development. This is my school for the long run. Elite Martial Arts (EMA) has been my Krav Maga and Muay Thai school for the past few years. I initially came to learn self-defence (Krav Maga is, after all, the most practical and real-world self-defence system out there). But I have improved in many other surprising ways. By constantly testing your mental and physical limits, you can effectively elevate them. By practicing martial arts, you can enhance self-confidence AND humility at the same time. I have tried a few other martial arts gyms for comparison and found myself quite privileged, and staying with EMA. Dan, Lawrence, and the other instructors are great teachers, they have always believed in me and supported me. The facilities are great. My fellow students are my friends, and we are all invested in everyone’s development. This is my school for the long run. EMA is a fantastic place for people from all sorts of athletic backgrounds to get into shape and learn something incredibly useful at the same time. Although I came to EMA already in decent shape, in just a few short weeks I was able to improve my core strength, coordination and body awareness. The conditioning classes do an amazing job of fitting in a complete, exhausting aerobic workout into just 30 minutes, and complement the instructive Krav Maga lessons that follow.All the staff members are professional, friendly and experienced, with special emphasis on Dan Novak, the head instructor. I would encourage males and females of all ages to try their hand at a free trial. It has really been a great addition to my workout routine.